Finally after several years of experience, Mandy had become the Vice President of his company and he was asked to present a session on Creativity & Innovation to senior managers of leading MNC's.Andy was Mandy's PA.This was exclusively for IT companies. Mandy - So guys welcome to the club. So how does it feels being big guns.I mean senior managers. All- It feels awesome (in unison). Mandy- You all are here from different organizations and today I have been asked to talk on Creativity & Innovations. All - Wow! you are the man! Mandy - I know. I am going to find your organization with the help of your bagpacks. Everyone looks at each others face.Andy laughs like anything and he is sure that Mandy would goof up. Mandy cleverly notices the company logos and names written on each of their bags. Mandy - Mr A (with Amdocs bag) ,you work for Amdocs right? Mandy - Mr. B (with Persistent bag ), you work from Persistent right? B - oh Wow you are awesome. Mandy - Mr. C (with AT&T bag ) , you work for AT&T right? 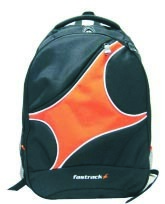 Mandy - Mr. D (with Fastrack bag ), you work for Fastrack right? Andy is watching all the fun. D - Are you nuts man,... If I have Fastrack bag..does it means i work for Fastrack. I work for Google man. they say ppl get wiser as they grow, hehehehe.